What if for 21 days you could receive an email in your inbox that would contain tapping tips, a tapping script and lots of idea about energy healing? If you’ve wanted to turn EFT into a habitual daily practice, this is for you. Not only will you be receive great information to deepen your understanding of tapping, but you will get tapping script to get you tapping even if you have no idea how to do that. Not to mention that these daily emails will trickle down into your inbox for three whole weeks, which is the time it takes to form a new habit. Whether you’re a newcomer to tapping or a seasoned practitioner, this course will stimulate you, motivate you and get you to tap. In order to finalize your registration, please send me a private message with your email address. I promise I will keep it completely private. I would never sell it or share it, because I hate spam just as much as you! this will help make the difference between stuck with the weight and taking it off. The convenience of your own home. The efficacy of a personalized program for $100 only. No fad diets, no boot camp, no shaming. This audio interview is for you. Listen in and tap ahead. On Thursday, 11/10 at 7pm, I will be starting a series of three blogtalk radio shows on EFT! SHOW #1: This Thursday, 11/10, the first show will be an introduction to EFT, followed by a discussion on EFT and phobias. Listen in by visiting this webpage here! SHOW #2: Thursday, 11/17 the topic will be EFT for family relationships, explaining how the environment we grew up in can leave triggers in our subconscious minds that still get fired as an adult, and how EFT can help us modify our relationship dynamics dramatically! SHOW #3: And finally on Thursday, 12/1, the last installment will address EFT for pain management. Stay tuned for more information by clicking this link. The tapping circles will be held monthly every third Saturday. Please make plans to arrive at 3:30, we will be starting tapping shortly afterwards. You can RSVP via the Meetup page, or through email. Tapping Circles are a monthly gathering of seasoned EFT practitioners and newcomers alike coming together to take their healing journey one step further. They are usually scheduled on the third Saturday of each month. 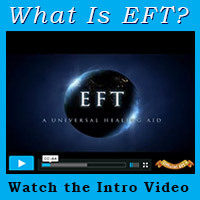 Stay tuned through this website events section or through the Meetup page of the Boston EFT Group. The great thing about tapping is that the more you do it, the more it works. Your resistance to stress greatly improve overtime and you find yourself taking things with ease that you never even considered would ever be easy for you. And September is definitely one of these times of the year when stress just piles up, unsolicited. Kick the stress back with a round of group tapping this Sunday. Whether you want to benefit from a potent group synergy, give EFT a try, or cut the costs down, this tapping circle will deliver the healing you need to soothe your over-stimulated system and to strengthen your body and mind when something comes your way. The tapping circle will be followed at 6pm by a potluck open to all. After deploring the lack of an EFT community in the Greater Boston Area in which I could find fellow tappers to exchange ideas with and push each other along on our respective healing journeys, I decided to create that community. I’m looking forward to the tapping circles and workshops already on the calendar!